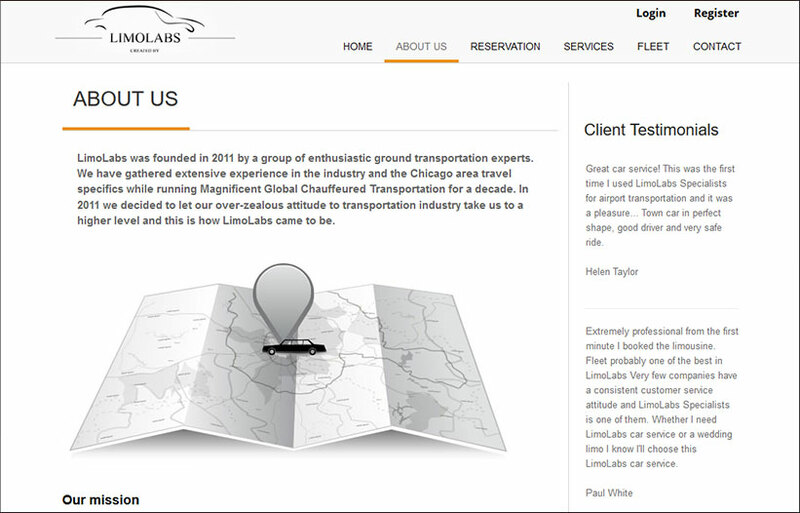 Present your cars and passenger and luggage ratio, testimonials, and calls to action in a smooth and clean way. 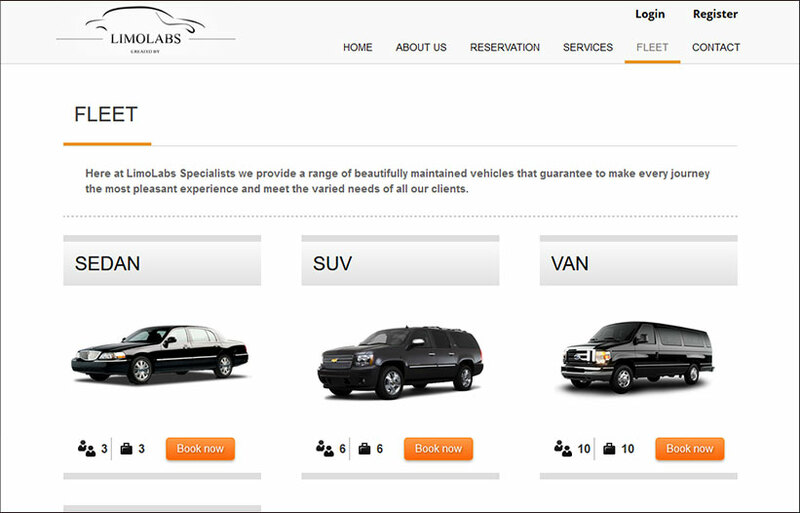 Website users will appreciate the fact that they can proceed to booking straight from the Fleet page, just as much as the sleek flow of your pages and how they seamless transition from one to another. Your content needs to be accessible on all devices and all screen sizes, it’s simply a norm nowadays! That is why our template is perfectly optimized and rearranges the content in perfect, consumable blocks. 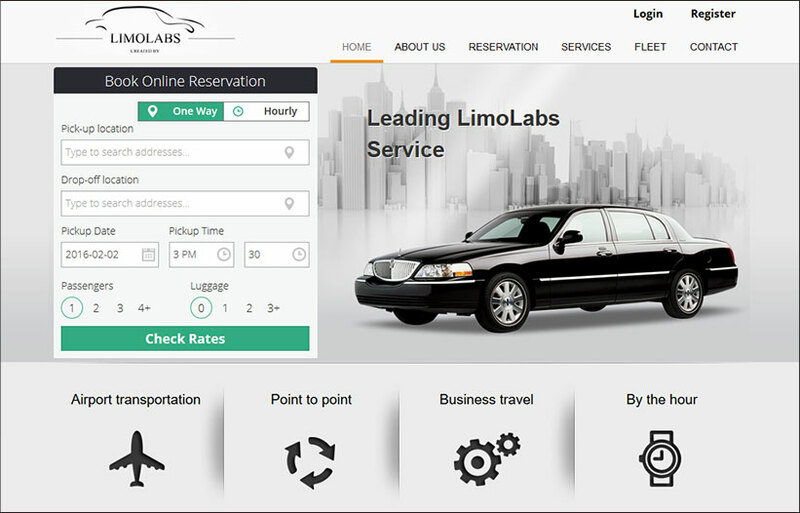 With time, it can become even more functional over time, if you decide to give your search engine optimization near me with LimoLabs a go. 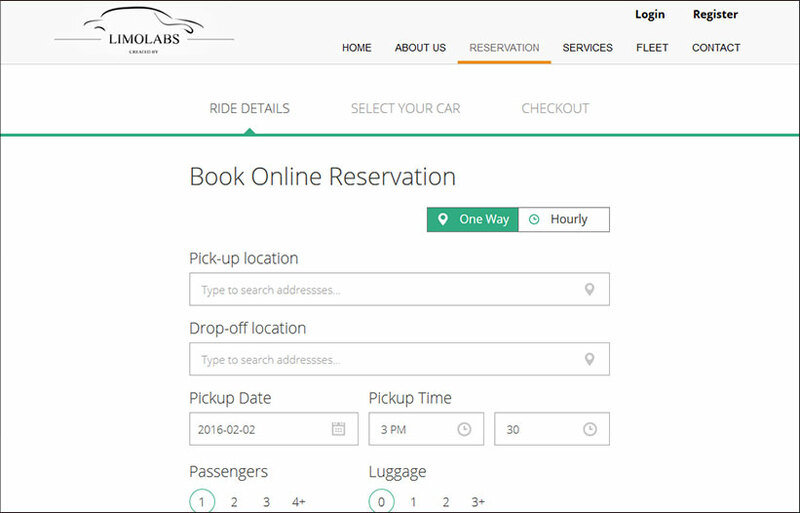 Allow your customers to book a ride with just a few simple clicks! 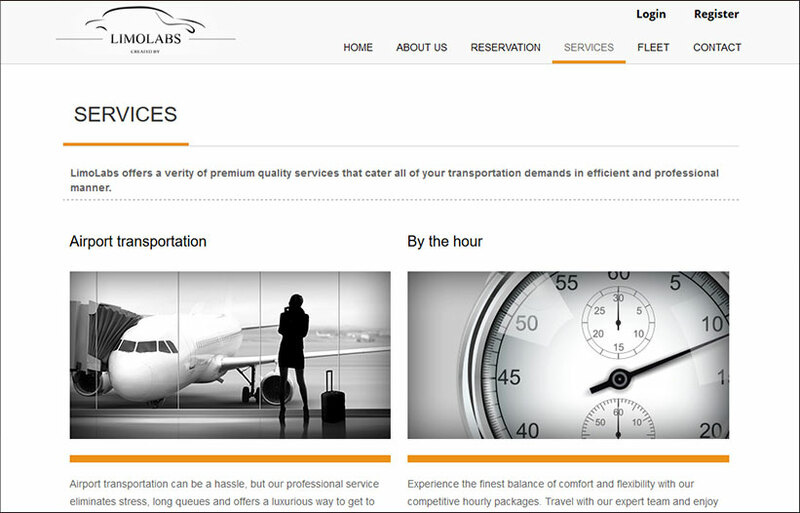 They can check live rates and schedule pick-ups in advance, straight from the homepage. 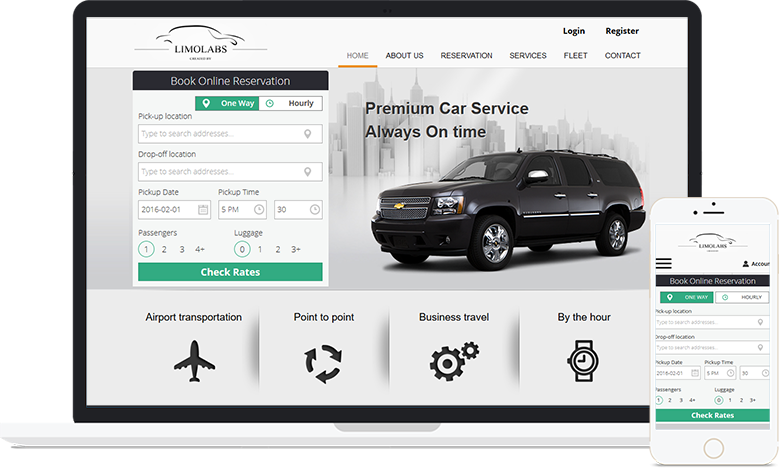 If your clients can book rides with ease, at a better rate, guided by supreme customer service, they will never have a reason to turn to your competitors.